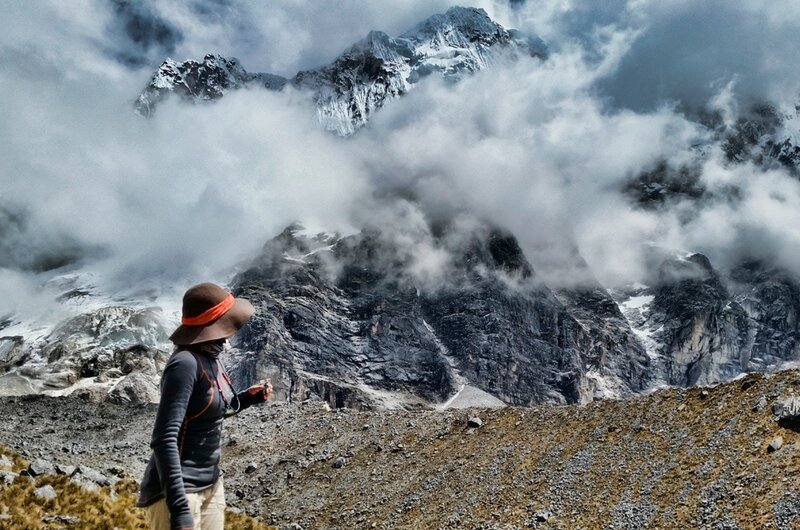 Anyone who would like to see several volcanoes in one place, feel the freshness of mountain and sea climate, should have thought of going to Arequipa in Peru. Check below what is primarily a showcase of this city? Arequipa, called also as a white city, is quite unique and compared with other cities (except of my favorite Cusco) rather very distinctive. Located in the Andes, but in the same time close to the ocean. It is the second largest city in Peru, but there is no so much traffic like for example in Lima. From here you can easy and fast reach both the interminable beaches, as well as the high, majestic mountains. The climate here is also very interesting; you can even take a chance and say that it is extremely favorable. It´s neither too cold nor too hot. It is also not too dry or too humid. Does not look like the strategic, ideal location? 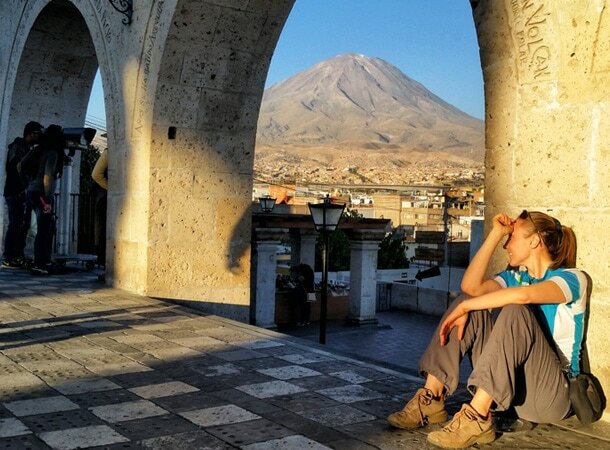 I think Arequipa is a great option both for temporary residence and for a longer stay, or settle. It seems to me that not only lovers of big cities can take advantage of this place but also people who love beautiful landscapes. 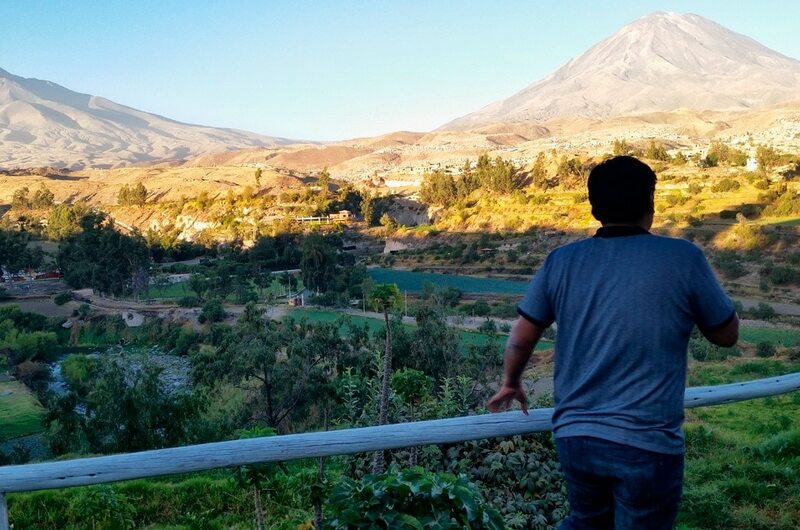 What is worth to see in Arequipa? In the city you will find among others a lot of museums, so everyone who is a fan of this type of attractions, will be fully satisfied. I personally recommend above all museum called Santuarios ANDIONOS, located in the city center, near the main square. It is dedicated to the children that were submitted by the Incas in the sacrifices. It is also home to the famous Juanita’s body – a girl who was sacrificed in one of the volcanoes located in the region of Arequipa – at volcano Ampato. It is the only body of a child who survived to this day in perfect condition, with muscles, as well as blood in the veins. It is true that the museum is dedicated primarily to Juanita, but you will also find here information about other children who shared a similar fate. By visiting this place you will see, among others, props that accompanied them during the last hours of life, and you will get good knowledge about human sacrifices by Incas. 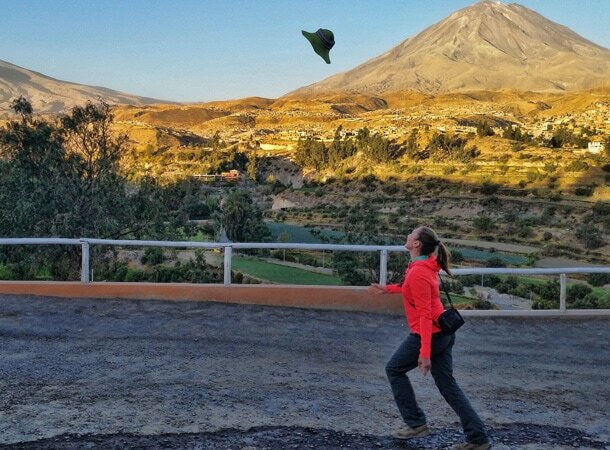 What is worth to do in Arequipa? There are two great viewpoints you can visit. First – situated closer to the center is called Mirador de Yanahuara. You can easily reach that place walking from the main square. All trip should not take longer than 40-50 minutes and in my opinion is worth an effort. From that place you will have lovely view for 3 volcanoes situated close to the city: Chachani, Misti and Pichu Picchu. 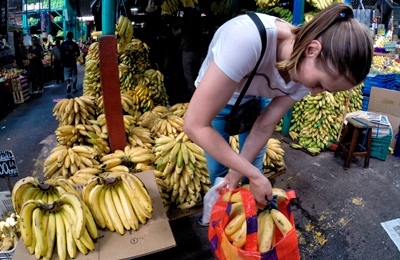 If you will decide to go to this place on foot, you will pass through some lovely, beautiful streets with buildings quite different from these which you will see in other Peruvian cities. They are made from white material and look really spectacular, especially if there are many colorful flowers hanging on the walls. Second viewpoint called Carmen Alta is placed much further, but definitely it is worth to go there too. It is different that the first one. From here you can also see all volcanoes but also the city from the distance. What makes this place unique is that here you will feel much closer to volcanoes and nature. 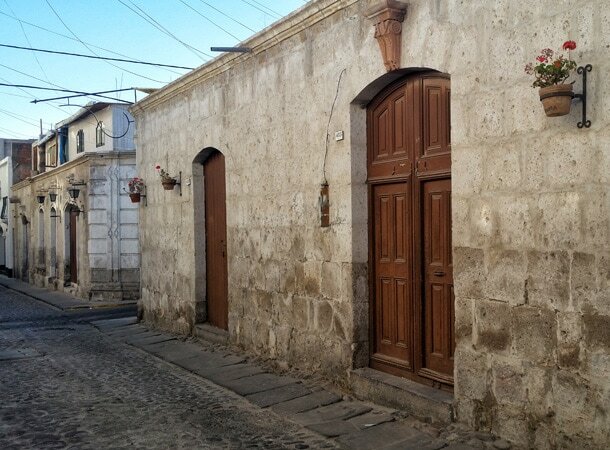 For all of you who will be tired of the city climate, I recommend to visit neighborhood of Arequipa. 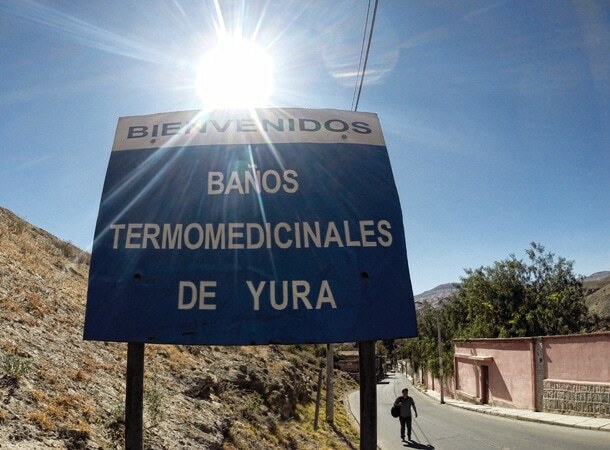 In vicinity of this white city, specifically in YURA, you can relax in the hot springs, full of minerals. You just need to know, that the hot springs are not hot, like the name shows. Generally, the water in them is definitely less than warm, so who is unable to sit at least one hour in such conditions, should better forget it. For all the adventurers who are not afraid of cold water, I highly recommend them. One hour in the pools full of minerals, gives an incredible boost of energy and is a great relaxation for the body, which will be hard to replace by other kind of treatment. I wish you great experiences and unforgettable time while visiting Arequipa! Hello Sylwia. I´m thinking on going to Arequipa in a few day. I will need some tips, or what to do interesting in the city so I can have a great experience. Thanksss ! I definitely recommend you to go to the place called Torro Muerto. 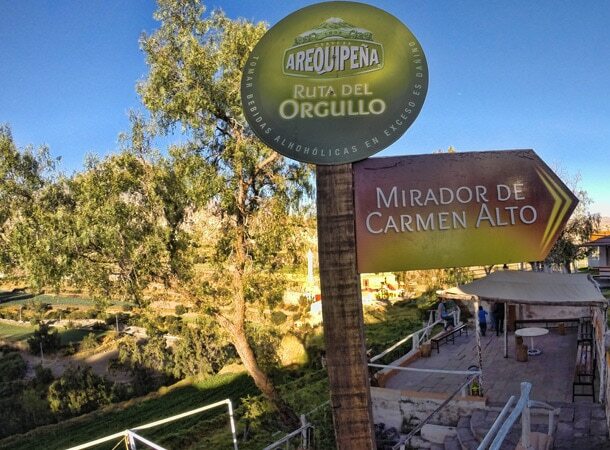 It is situated close to Corire around 3-3,5 hours by bus from Arequipa. 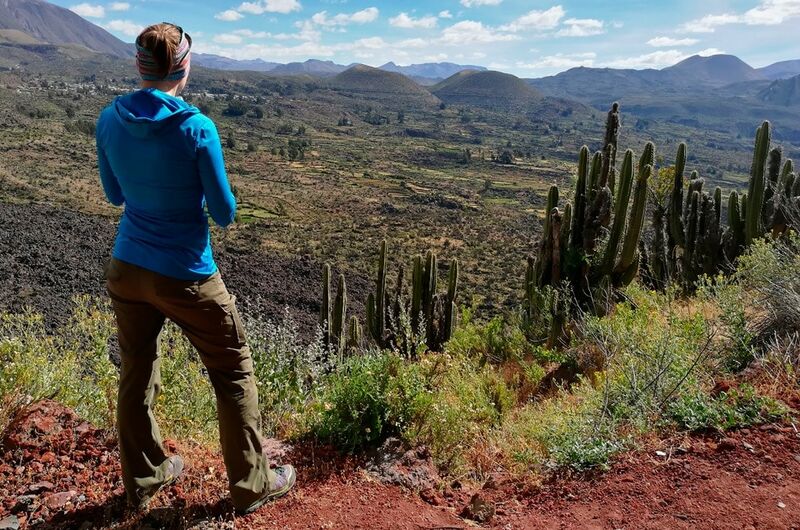 For visiting Toro Muerto – petroglyphs on more than 5000 stones – you will need around 2-2,5 hours. The stones are situated in the very hot part of the Peruvian coast, so be prepared for it! Take a hat and sunglusses as well as goos sun protection. 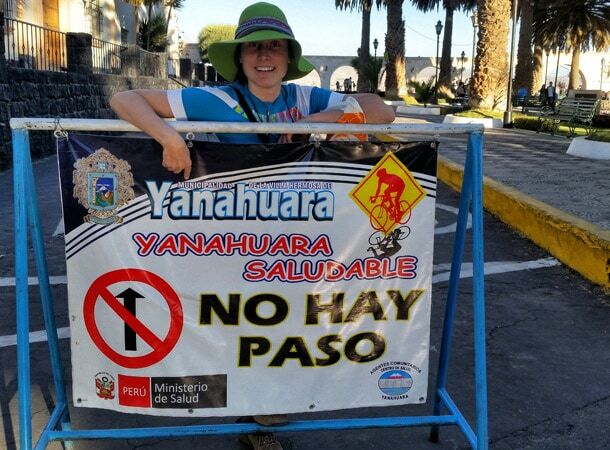 You can do this tour in only one day from Arequipa, just I recommend you to leave very early from the city, to avoid huge sun on the Toro Muerto (max 5 am). The coming week I’m planning a short trip to Arequipa together with my Girlfriend. Unfortunately we have only two days in the city. We wanted to ask you, what are the most important attractions to visit for such a short time. Two days is quite a lot. You can spend one day in the city and another one you can visit some places around. I definitely can recommend you all the places, which I mentioned in the article. You can easily do all of them just in one day, except of Yura hot srpings (for this you need half a day). During the first day you will also have a time to go to the place called Mundo Alpaca: Here you have a link with the address http://www.mundoalpaca.com.pe/ They sell alpaca clothes but also have free museum about the textiles witl some alpacas and llamas. It is really nice place, especially if you haven’t seen the process of production of textiles before. The second day, if you will start very early in the morning, you can go to the place called: Toro Muerto. You will find there collection of ancient petroglyphs in the Peruvian coastal desert. But for this you need to have almost full day. You can go there by local bus and taxi.